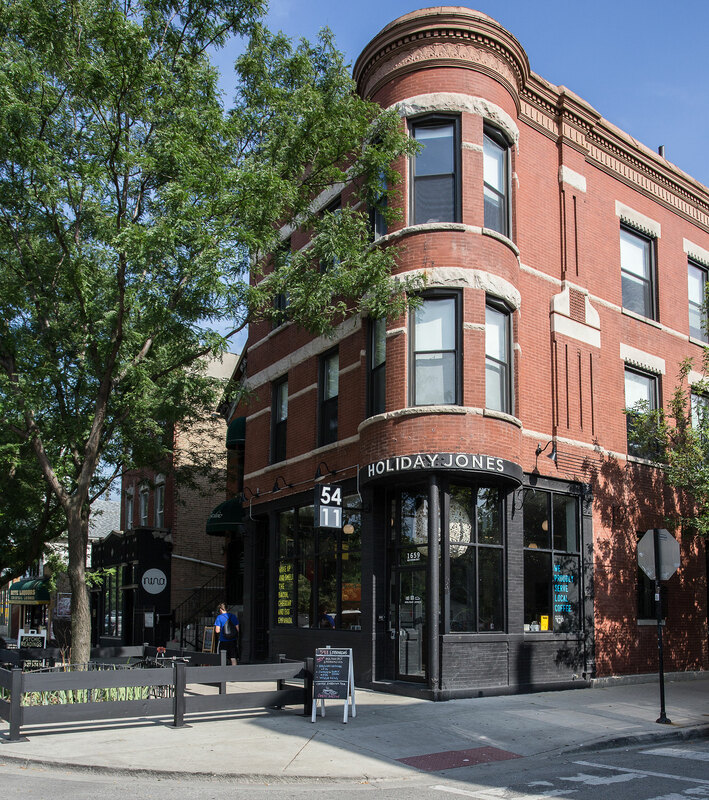 Experience world-class hospitality in the heart of one of Chicago’s most lively and creative neighborhoods, Wicker Park. Nestled among the city’s thriving food and drink scene with eclectic restaurants and bars, cool shops, up-and-coming art galleries, and live music venues, you’ll instantly be immersed in Chicago’s cultural scene that’s gained global recognition. Steps away from the city’s sights but miles away from ordinary, Holiday Jones provides all the essentials to ensure a comfortable and cool stay in the Second City second to none. Accommodations at Holiday Jones come in a wide array of sizes, styles and sorts. From standard tucked up rooms for two, to multi-room apartment suites for many, to solo beds for solo travelers. No matter how you roll, we’ve got you covered. Chicago is a thriving food-centric city, and no trip is complete without getting in on the local grub. To give our guests a taste of our town, we teamed up with one of our favorite eateries, 5411 Empanadas. With a wide array of both alternative and traditional empanadas, peeps love these baked Argentinian hand-held delights (and we know you will too!). An essential accompaniment to our empanadas, guests can enjoy coffee from locally-sourced Metric Coffee, as well as an array of specialty drinks from our Third Wave coffee shop. We also offer a selection of rotating wines, draft and bottled beers, as well as seasonal cocktails on tap. With sprawling windows wrapped around the building and natural light flooding the ground floor, 5411 provides a laid-back yet inspiring atmosphere accented by the vibrant hustle and bustle of our stimulating surroundings.